IT IS a mark of the man that Christy Dignam, who has endured far more than his fair share of struggles and hard times, has borne his illness - a rare form of terminal cancer - with great dignity and stoicism. He has fought back the darkness which once threatened to engulf him, and lives each day as it comes, determined to “squeeze any enjoyment from it”, and by doing what he, and his band Aslan, have done since the 1980s - bringing joy and hope to thousands through their music. As he tells me, "music is the saviour." 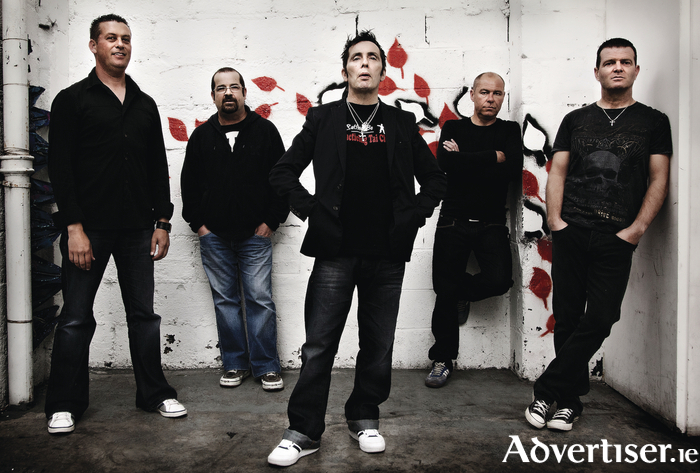 Over the last two years Aslan have maintained a regular schedule of live shows. This year saw concerts in Dublin and Derry in August, October brought them to London, while this month they play Galway as part of their current tour. How does Christy find singing and performing on stage these days? Christy was originally diagnosed in 2012 with with two types of blood cancer - myeloma and amyloidosis. For a time he was confined to a wheelchair and was unable to sing. It was believed then he had only months, and a special concert in Dublin, A Night For Christy, in 2013, was arranged, with performances by Shane MacGowan, Paul Brady, Mary Black, Jerry Fish, Steve Wall, and Ryan Sheridan. It was a wonderful tribute to one of Ireland’s best loved rock vocalists, but this period was also the bleakest in Christy’s illness. Getting back on that even keel and going into a type of remission in 2014 brought Christy’s enthusiasm for music back, and led to his determination to return to the road. In this, as in his determination to appreciate every moment of life left, he acknowledges David Bowie as an inspiration. “I thought Blackstar was a great thing to do as a last hurrah,” he says. “We played with Bowie in Slane a few years ago. I’ve always been a big Bowie fan, so I asked my manager, if you never get us another gig, get us this one, and he got it. I couldn’t wait for it to happen, and then we did the show. Intriguingly, Christy is also working towards a solo album “of a traditional nature”. The power of Aslan’s music resides in its down to earth honesty, compassion, and offer of solidarity and hope, best exemplified by their most famous songs - ‘This Is’ and ‘Crazy World’. Indeed, while ‘Crazy World’ dates from 1993, in the era of Trump, Brexit, the Syrian civil war, and the rise of the Right, it has lost none of its relevance. Aslan play a 'Róisín Dubh presents...' concert in the Seapoint Ballroom, Salthill on Saturday December 10 at 7.30pm. Tickets are available at www.roisindubh.net, the Ticket Desk at OMG Zhivago, Shop Street, and The Róisín Dubh.